Dr Joseph J. Provost is a professor of chemistry at Minnesota State University Moorhead where he teaches biochemistry and conducts research in lung cancer. Provost is a long-time committee member and organizer for many of the American Society for Biochemistry and Molecular Biology and teaches a science of cooking class to over 125 students each semester. 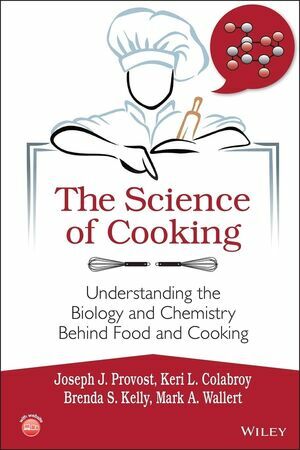 Dr. Brenda S. Kelly has is a biochemist from Gustavus Adulphos College in southern Minnesota where she created a upper division kitchen chemistry class that incorporates many modules of food and cooking with hands on learning. Dr. Mark A. Wallert is a Minnesota ?Carnegie Foundation for the Advancement of Teaching MN Teacher of the Year and a professor of biology. Wallert has developed many hands on activities for majors and non-majors using inquiry as his focus.